My body was active and busy, but my mind needed a break, and yoga was the place where I could rest my mind and not think of cancer and all of the side effects. I walked into a yoga class taught by my friend .. and became hooked! I convinced my mom to come to yoga class with me and soon enough she also became addicted. She comes to all of my yoga classes, events, walks, and is my biggest fan. 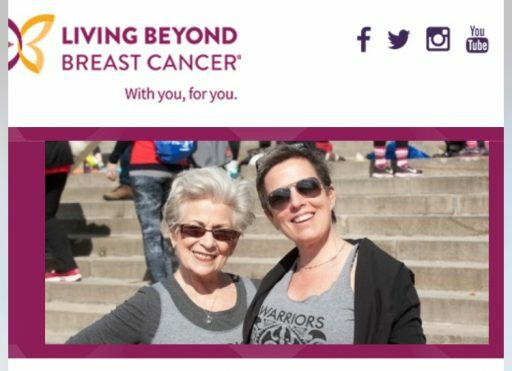 As a result of her first experience of practicing yoga on the art museum steps, my mom has become a daily yogi and when I think of Reach & Raise, I think of how my mother and I can reach and raise awareness of this disease that has taken our friends and family – and raise our chins to the world and strike a pose! What you decide to do. Have some fun! Laugh, enjoy life, and check out the clothes featured below. Previous Post: Prosthesis or Not?